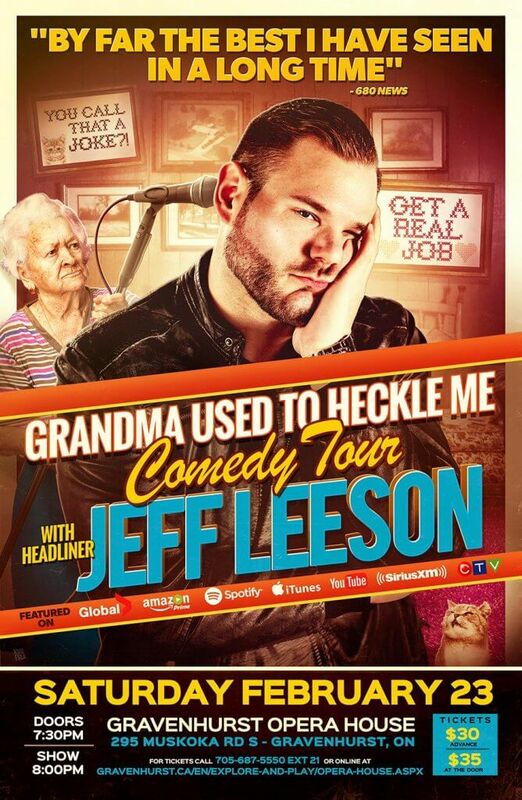 Nationally touring stand up comedian Jeff Leeson (As seen on: Global TV, CTV, Amazon Prime, Sirius XM) brings his brand new tour to The Gravenhurst Opera House for a night of live stand up comedy you will never forget!! Jeff Leeson Website – Please be advised Jeff Leeson’s comedy contains strong language and subject matter. This show is PG-13.